Kapil Mohan was a teetotaller who continued to serve India its most accessible and beloved alcohol for more than 40 years. Old Monk combined with Coca Cola, usually referred to as Rum and Coke is perhaps one of the most popular choices of people trying to keep the menacing cold of Delhi at bay. Not only the capital city, Rum and Coke combined with spicy snacks and a bonfire to go with is perhaps one of the most popular ways to pass dreary winter nights. The seemingly unfussy drink has come a long way since its launch in 1954. Old Monk saw its popularity soar some years later after Kapil Mohan was pushed to take control of Mohan Meakin, the makers of the beloved rum. Kapil Mohan was a teetotaller who continued to serve India its most accessible and beloved alcohol for more than 40 years. He passed on the reins of the company a year ago to his nephews Hemant and Vinay. Kapil Mohan passed away on January 6 at the age of 88. He had been keeping unwell for a while but passed away due to a cardiac arrest in Ghaziabad's Mohan Nagar area. Kapil Mohan was forced to take on the reins of Mohan Meakin in the early 1970s after the death of his elder brother, VR Mohan. His leadership breathed a new life into the company, which went to establish three distilleries, and two breweries, among many other enterprises. Mohan Meakin further made way into ventures such as breakfast food, juices, glass factories, vinegars, and cold storages. He was also the man behind other popular liquor brands like Solan No. 1 and Golden Eagle. 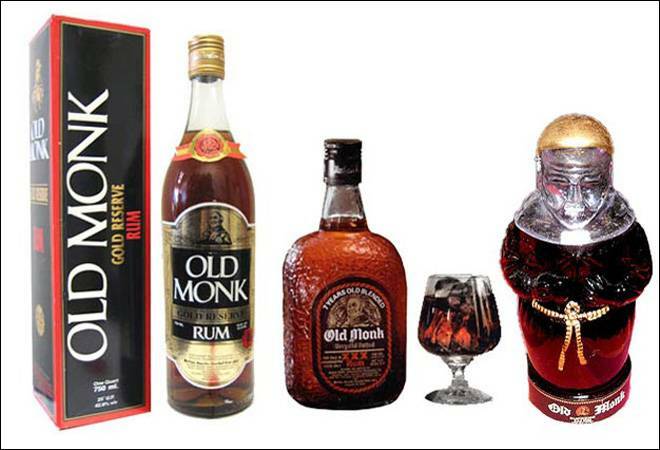 Old Monk remained the most-selling liquor brand in the country till the mid 2000s. In mid 2000s the company and the family were faced with turbulence when VR Mohan's son Rocky Mohan broke away from the family and sold the company's Lucknow facility to Ponty Chadha, founder of one of India's biggest conglomerates, Wave. From thereon, Ponty Chadha gradually witnessed his growth as one of India's biggest businessmen. Chadha's ownership of the facility, compounded with the emergence of liquor barons like Vijay Mally ensured a gradual dip in the fortunes of Mohan Meakin, which was eventually delisted from the Calcutta Stock Exchange. Nevertheless, the love for Old Monk by its patrons never wavered. As mentioned in Business Standard, Kapil Mohan said in an interview in 2012 that he refused to advertise his product. "The best way of my advertising is the product: When it comes to you and you taste it, you look at the difference and ask what is it. That is the best advertisement," he said. He refused to advertise for Old Monk for as long as he was the Chairman. Mohan was a spiritual man. He is also said to have maintained the traditional ways of making liquor, which led to the consistency in the flavour of Old Monk. Kapil Mohan was awarded the Padma Shri in 2010. Kapil Mohan is survived by his wife. Hemant Mohan is currently the MD of Mohan Meakin Ltd.